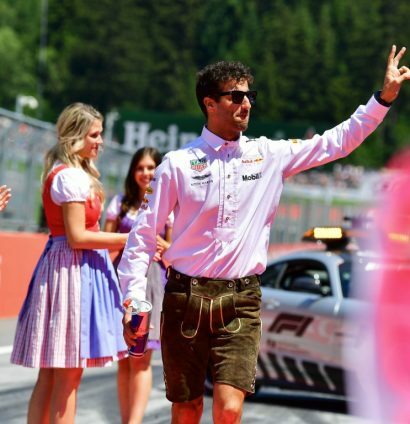 It was the same story for the birthday boy, Daniel Ricciardo, as it was a dreadful day in Austria. The Australian retired from the race with 18 laps to go. Red Bull did take the victory, though. Max Verstappen held off the two Ferraris to take the 25 points away from Spielberg, and move up to P5 in the Drivers’ standings. Sunday afternoon saw the second part of the first ever triple-header in Formula 1 history. Spielberg was the host for the Austrian Grand Prix, and race nine of the 2018 season. It was a landmark race for both Haas and Force India. The American outfit celebrated their 50th grand prix, while Force India were in their 200th race. There were penalties galore before the race. Sebastian Vettel (P3-P6, blocking), Charles Leclerc (P13-P17, gearbox), Brendon Hartley (P18-P19, engine) all took grid drops. Meanwhile, Fernando Alonso would start from the pit lane after the front wing on his McLaren had to be changed in parc ferme. Before the race, Alonso and Lewis Hamilton were having a chat. 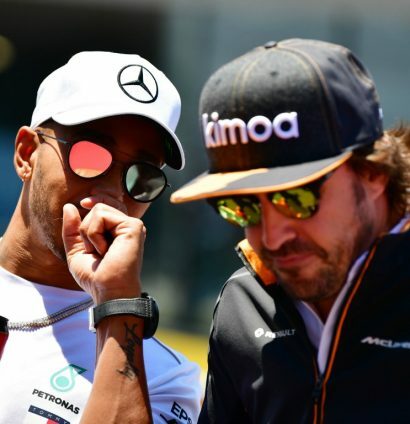 Fernando to Mercedes? Taking a look to the stands and there was a sea of orange for the race, with Max Verstappen being well supported by the Dutch. The temperatures for the race were much hotter than they had been for the entire weekend, with a track temperature of nearly 50C. Kimi Raikkonen got a lightning quick start and almost took the lead by Turn 1.. However, the Finn dropped down to P4 after both Mercedes, and then Max Verstappen got past the Iceman. Further down the field, Stoffel Vandoorne broke his front wing (again!) and had to pit, immediately dropping off the lead lap. Nico Hulkenberg became the first man to retire from the grand prix, his third DNF in the last six races, as his engine gave way on Lap 12..
Valtteri Bottas’ bad luck continued, as he had to retire from the race just a couple of laps later, with the gearbox on his Mercedes failing due to hydraulic pressure. That brought out a VSC. Guess if you stick to Haas as Dutch for “hare”, the plural would be Hazen. 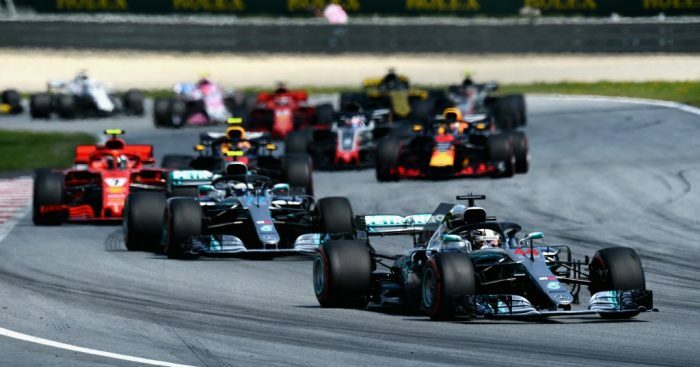 Lewis Hamilton pitted from the lead on Lap 26, and fed back out in P4, with Max Verstappen and Daniel Ricciardo in a Red Bull 1-2 at the Red Bull Ring, and Kimi Raikkonen in P3. It looked like the birthday boy was not going to have the best day, as his left rear tyre started to blister badly.. The Australian came in to make a second pit stop, while there was a big move up towards the front! Two thirds of the way through the race, and Ricciardo’s team-mate was still out in front, with everyone now nursing their tyres. Within the space of three laps, two of the Red Bull four retired from the Austrian Grand Prix. Daniel Ricciardo suffered the worst possible outcome on his birthday, before Brendon Hartley then also dropped out of the race. The fifth retirement of the grand prix was Lewis Hamilton, making it a double disappointment for Mercedes, and for both their Drivers’ and Constructors’ Championship prospects. With all the retirements, it meant double points finishes for Haas (P4 and P5), Force India (P6 and P7) and Sauber (P9 and P10). But it was Max Verstappen who took the race victory for Red Bull, their first win at their home grand prix. Kimi Raikkonen and Sebastian Vettel finished on the podium, with Romain Grosjean and Kevin Magnussen scoring 22 points for Haas. 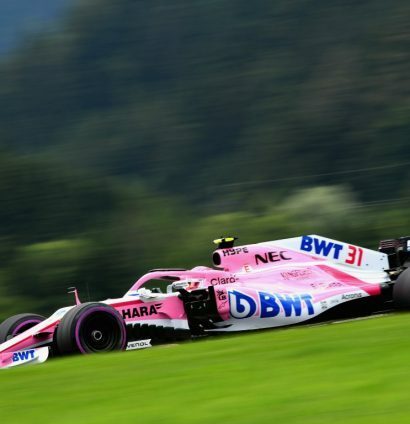 Behind them, Esteban Ocon and Sergio Perez came ahead of Fernando Alonso, who started from the pit lane. Charles Leclerc and Marcus Ericsson gave Sauber their first double points finish since China 2015. A disastrous day for Mercedes, then. Sebastian Vettel takes the lead in the Drivers’ Championship, while Ferrari overtake Mercedes in the Constructors’ Championship.